Fill your music with more fun and colors! Redesigned fit, comfortably lightweight in-ear headphones together with quality SOUL signature sound to enjoy your favorite music. The neon K-POP collection is designed to satisfy fashionista, taste makers, and music lovers alike. 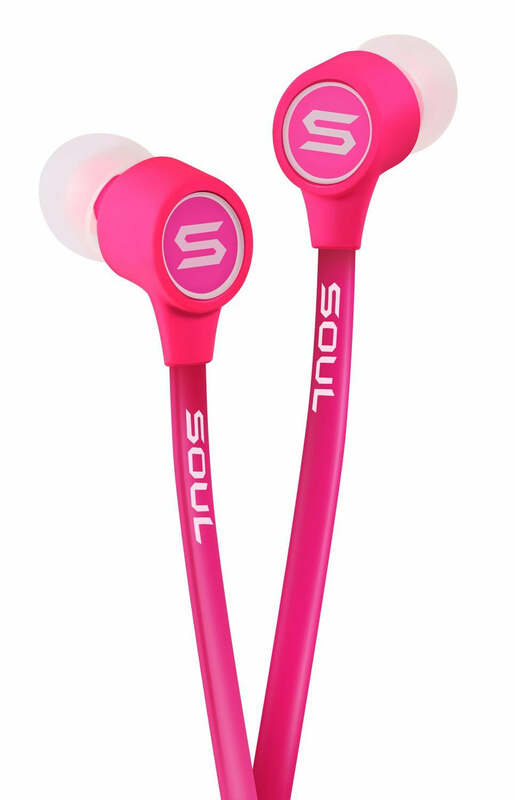 Enhanced In-Ear Fit - Small and lightweight one piece body designed to stay in your ears even when dancing to the "Gangnam Style". Includes XS, S, M, L ear tips for the best fit. Advanced Driver And Circuitry Design - Engineered for the best balance and quality of sound. Designed with powerful bass and clear midst and highs for the best possible listening experience. Colorful Neon Selection - Find your true color! The K-Pop comes in all-new neon colors made for the trendy, fashionista and taste makers alike. Universal One Button Controller - A single button controller compatible with most smartphones will give easy access to such functions as answering or hanging up your phone as well as music playback functions. Tested by Pop Sensation PSY - Ultra high quality sound approved by the world renowned Pop Sensation PSY.